How do you attract attention at a trade expo? How do you entertain and educate children in a museum? 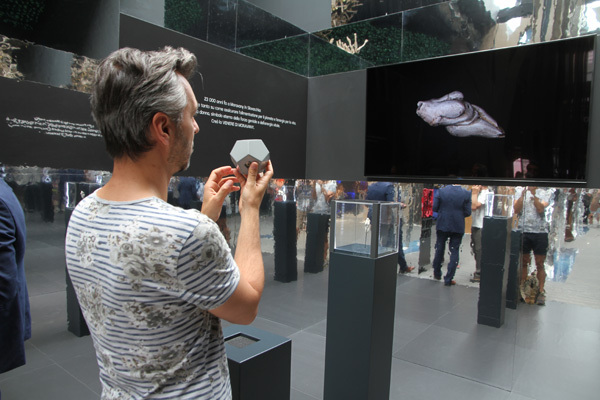 VIS GRAVIS develops interactive installations that present 2D/3D digital content in an interactive and immersive way. 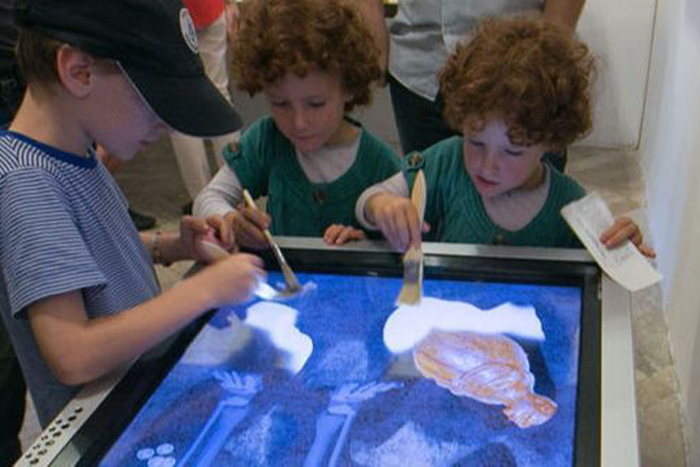 Multi-user and multi-touch screen is the ideal tool to show children how excavations are made. We created a replica of a grave of a roman soldier for the Roman games event organized by Bratislava City Museum. Hidden under sand in the grave are several treasures and the goal is to uncover them using brushes, just as the archaeologists do. 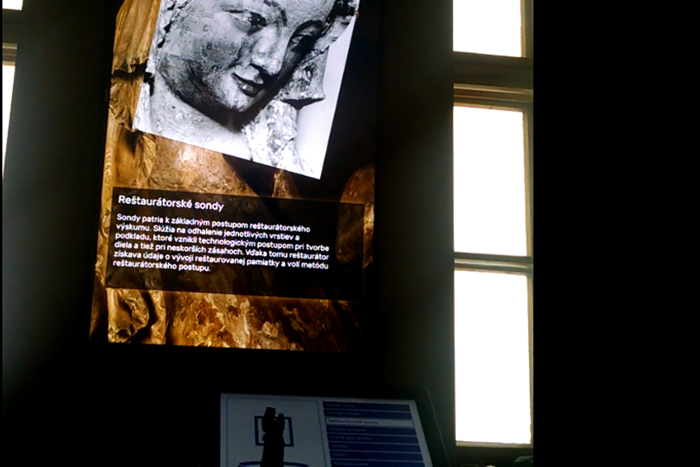 Interactive presentation of 3D digital model of a pre-historic sculpture - the Venus of Moravany. The sculpture - which is in fact only few centimeters tall - is displayed as a highly-detailed model on a huge 4K display. The installation is controlled by a special wireless rotation controller. The visitors of Expo 2016 world fair in Milan had the chance to explore every detail of this precious artifact from every angle. 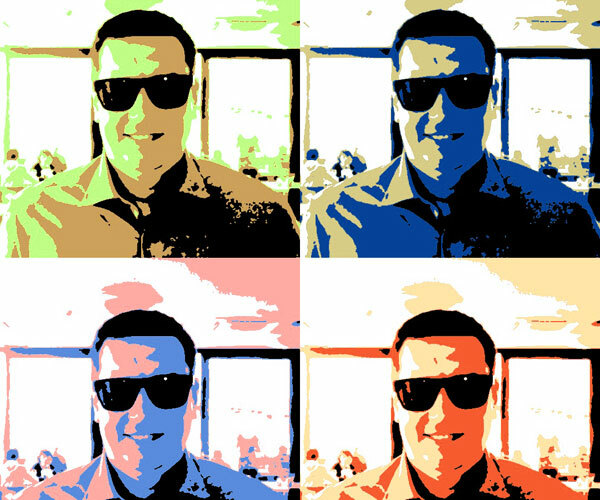 The digitization and postprocessing of the 3D model was performed by DotNet a.s.
Our image processing system cvForge powers a fun application that takes your photo and creates from it a portrait in the pop art style of Andy Warhol. Warholizator was installed in a kiosk with a touchscreen and a camera. The visitors see their photo immediately and can have it sent as a digital postcard to their (or their friend's) email. It's as simple as fingerpainting. Draw a shape (hear, wave, wheel, ...) and our programs finds in a database of paintings the one which contains a similar shape. 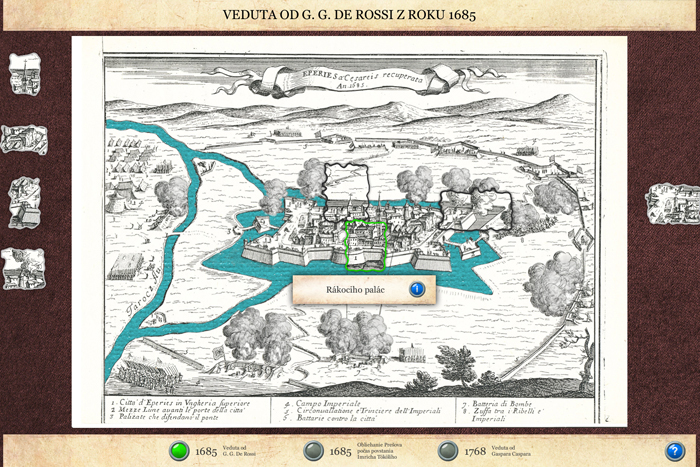 This interactive installation was produced in cooperation with Slovak National Gallery and it operates on a database of digitized fine art from SNG collections. 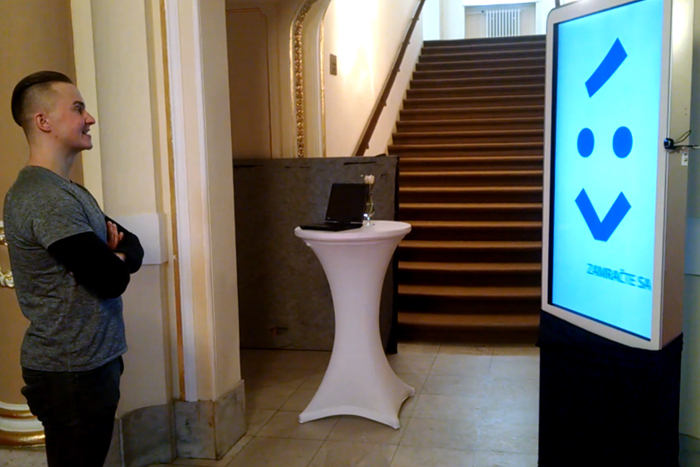 The installation was introduced during the exhibiton Preserving the World, then presented at TEDx Bratislava 2016 and is now in permanent SNG exhibition in Esterházy palace, Bratislava. For the exhibition in the East-Slovakian Gallery we prepared the possibility to view and control the object panorama of the Madonna of Ruskinovce through the touch screen. Not only the resulting appearance but also the restoration process is important. That's why we've seen restoration interventions and important parts of the object. 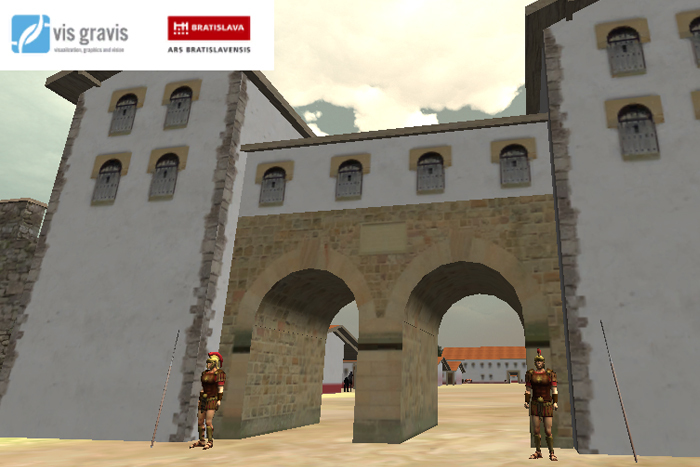 One of the most remarkable Roman monuments in Slovakia deserves its virtual appearance. How big was the camp? What did they grow around? How many horses did they have? Was the Danube really so close? All of these questions gave answer to the Visitors of the Roman Games in Rusovce an interactive application showing the camp at the time of the greatest boom. In addition to stereoscopic viewing and gaming controls, we offered the opportunity to see the Roman camp in virtual reality as well. 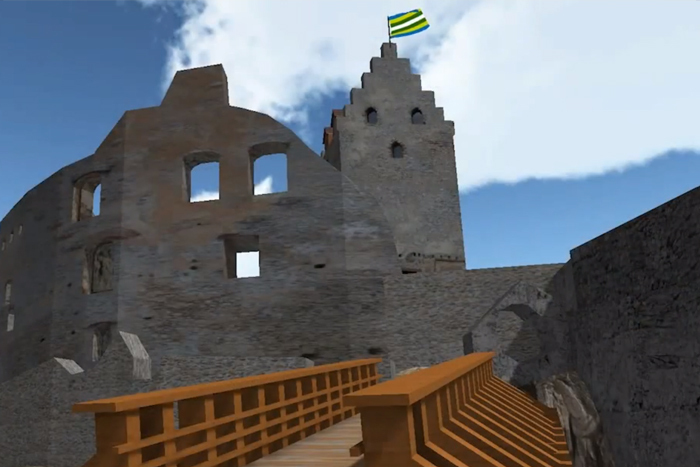 We created a 3D model of Topoľčany Castle and optimized it for viewing on the web, along with its surroundings. The object is complemented by animation and flips across multiple camera positions. An even better experience we've offered in virtual reality. 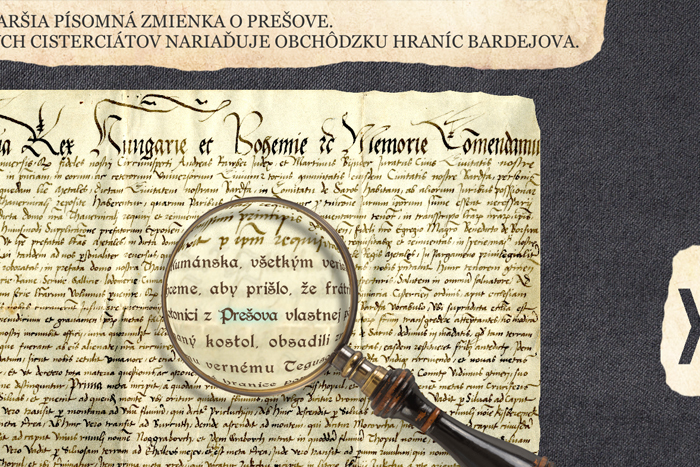 On the occasion of the anniversary of the foundation of the town of Prešov, we prepared an interactive touch application for the Regional Museum in Prešov, which displays important documents that mention the city. Through the magnifying glass, visitors widened the text and viewed the translation of the Latin script into Slovak. How to breathe life into documents on which drawings are drawn from the siege of the city? 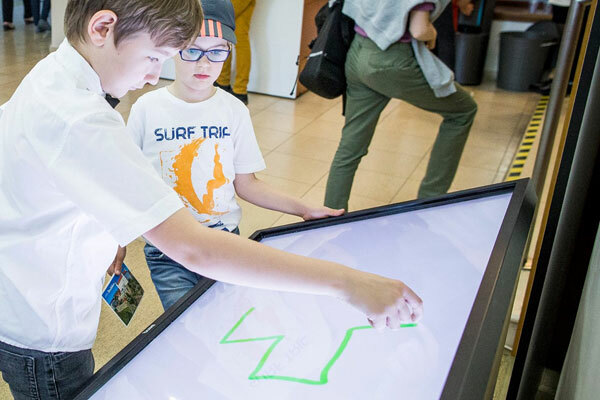 Thanks to modern technologies, we have created an interactive game for a multi-touch monitor, allowing visitors to Prešov Regional Museum to discover existing buildings in the city and compare them with city plans from the past. Human emotions are one of the possible inputs for application control. To demonstrate these capabilities, we've implemented a kiosk app. By sensing a person's face and identifying his expression, we have displayed different states of the logo based on emotions. 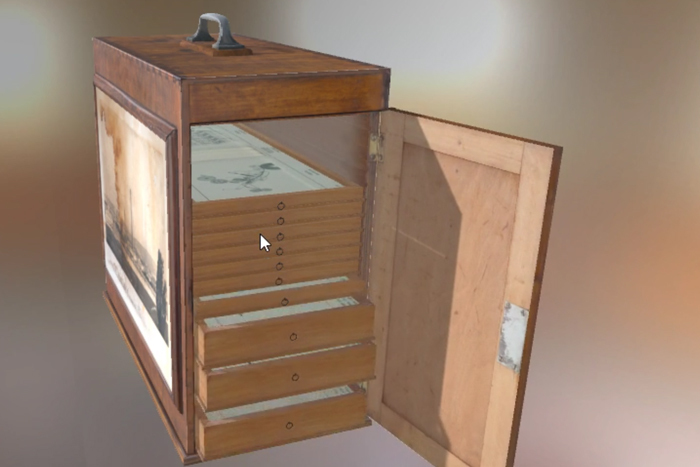 Data in the form of 3D models or omni-photos? 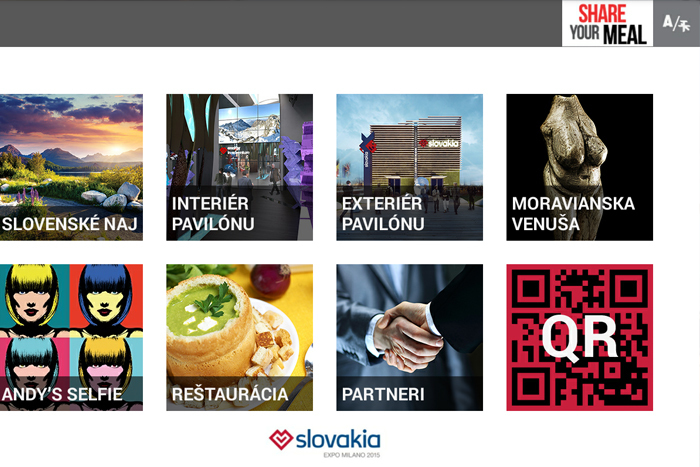 For our partners, we've run them on the web, in kiosks, multi-touch screens, or in mobile apps. With the ability to animate and interact with each other. 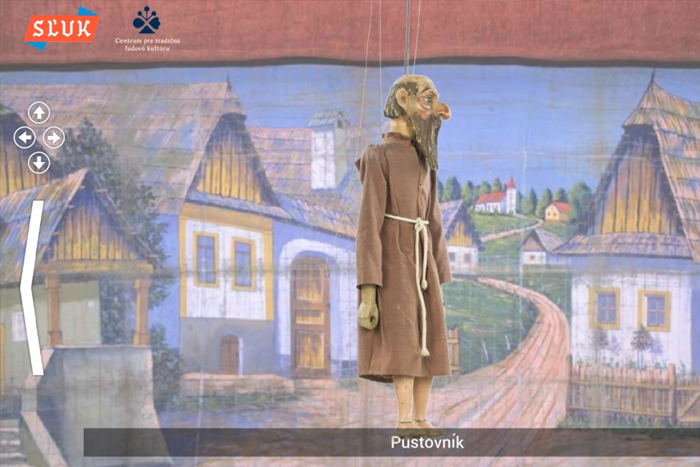 For the needs of the Center for Traditional Folk Culture at FOLK EXPO Slovakia, we have prepared a preview of the omni-photos and 3D models of theater marionettes in an interactive presentation. Data display, advanced reality, object capture, and QR codes. For the needs of our partners, we implemented these technologies into mobile apps for Android and iOS.